Today I'm sharing six bites of juicy food philosophy over on the Girl Gang Craft Blog. Eat to Nourish, Keep it Real, Stay Flexible, Get Creative, Honor the Earth, and Build Community. If you've ever found yourself wondering why all the kale, juice cleanses, and super foods in the world aren't bringing you happiness, this article is for you. Girl Gang Craft is a community for women artists, healers, and boss babes run by my close friend, yogi, artist extraordinaire Phoebe Sherman. 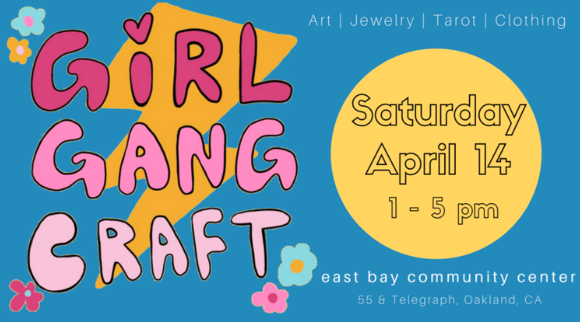 If you are in the Bay Area, check out the craft fair April 14th, 1-5pm at East Bay Community Center.